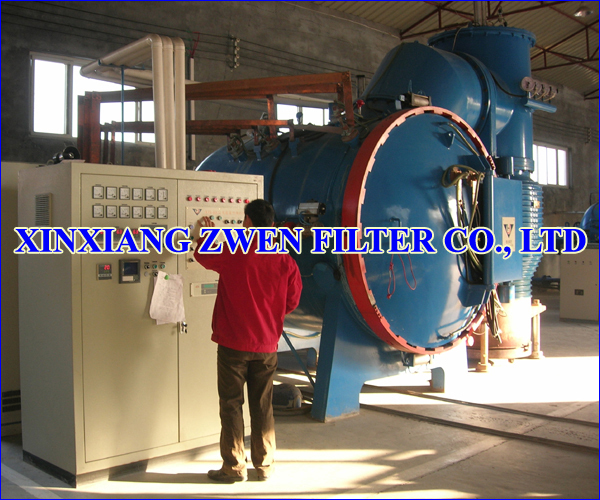 XINXIANG ZWEN FILTER CO.,LTD has 4 sets vacuum sintering furnace. The first set vacuum sintereding furnace is used for manufacture multilayer sintered mesh. The second set vacuum sintering furnce is used for manufacture sintered fiber felt. The third set vacuum sintering furnace is used for manufacture sintered powder filter disc (titanium frit, ti frit), and sinered powder filter sheet. The forth set vacuum sintering furnace is used for manufacture sintered powder filter tube.